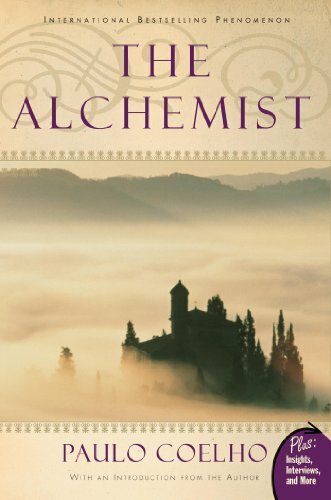 Daniii (Grade: C) Most of my friends seem to love The Alchemist, and it was suggested to me by a number of people who all claimed that I would love it. I didn't. While I can get behind the overall message, I feel as though it was told heavy-handedly and shoved down the reader's throat throughout the story. It was a journey of self-discovery for the character, but not the reader; a classic case of showing versus telling if I've ever seen one. What could be a reader's journey of self discovery instead falls flat. david.kosofsky.7 (Grade: A) I hate popular things. I hate popular things because I think most people are morons, so if anything has garnered major approval I assume its hackneyed and stupid (i.e. President George Bush (either one)). I also, though, believe in universal truth. I believe in an absolute morality that is consistent within all humans. When external knowledge aligns with that inner wisdom, humans get a feeling of largeness that accompanies resonating with universal truth. This book plays that chord with grace. yeahitskonnor (Grade: B) It made me feel good, and will probably make you feel good also. If you follow any type of religion or faith, you will find something to relate to in this adventurous story of self-discovery and discovery of the world outside your personal bubble. It makes the reader ask questions about what they believe and how the world works, but it is a story that is quickly forgotten(as I am finding to be true while reviewing the book). It's short, fun, inspiring, then its over.